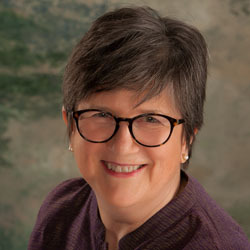 Confidentiality - Portland Jungian Analyst - Carol Walnum, MA, MBA, LPC. Via its laws, Oregon protects the client-psychotherapist relationship, and the Oregon Board of Licensed Professional Counselors and Therapists specifies how confidentiality is treated in our relationship. I will not release clinical information about you, including whether or not you are in therapy, to anyone unless given express written permission to do so by you (called Informed Consent), or if one of the conditions applies in the next paragraph. In any of the situations below, I will make every effort to discuss these things with you below. 1) The therapist or counselor must act appropriately when there is danger to the patient or to another person at the patient’s hands. This may involve others when necessary to protect the patient if the patient is suicidal, intends to harm another person, or is unable to provide self-care at a level necessary for basic survival. State law also requires the report of abuse or neglect of a child, elder, or vulnerable adult when there is reasonable belief that it has occurred or is likely to occur in the future. 2) In response to a court order, a counselor must testify or release records. A counselor does not release records or testify in response to a subpoena unless the patient or patient’s guardian has given written authorization to do so. 3) As professionals, we do consult with one another from time to time to improve our quality of service to you. Case material is sometimes used in training, consultation, and writing. This is always without identifying information and with great care and respect for your privacy.